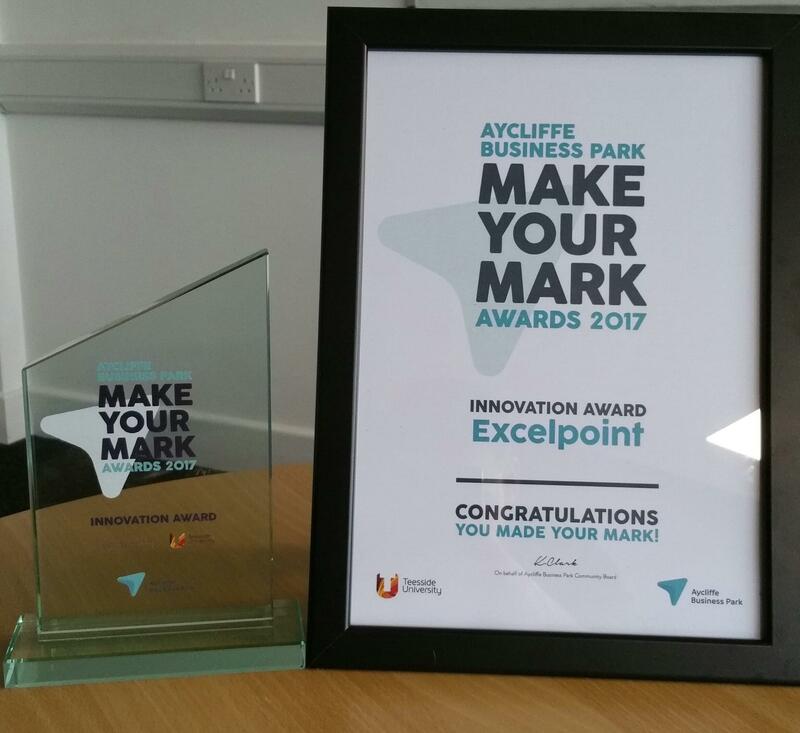 A North East business community celebrated its success at a recent event; the annual Aycliffe Business Park ‘Make Your Mark’ awards. This prestigious ceremony was attended by over 200 business representatives, including employees of Excelpoint. There were 52 nominations competing for 11 different awards. Excelpoint was lucky enough to be chosen for and proudly accepted, the Innovation Award. Ian Brown, Managing Director of Excelpoint, said: “We would like to thank all of the people that nominated and voted for us, and of course our fantastic team that made this award achievable. Excelpoint are located in Aycliffe Business Park, which emerged during the 1940s. The park is one of the largest industrial zones in the North East of England, home to over 500 companies and 10,000 employees. It’s original purpose was a site for the manufacture of ammunition to contribute to the war effort. The 867-acre site is now home to regional, national and international business giants such as Hitachi, 3M, Ebac Group and Business Durham.